Camping recreationally is a pastime that has been around since the 1800’s and it isn’t likely to lose its popularity any time soon. There’s just something about escaping the chaos of daily life and being closer to nature that appeals to us. For some it’s the peace and quiet and for others it’s the thrill of being out in the wilderness, or as close to wilderness as you can get anyhow. 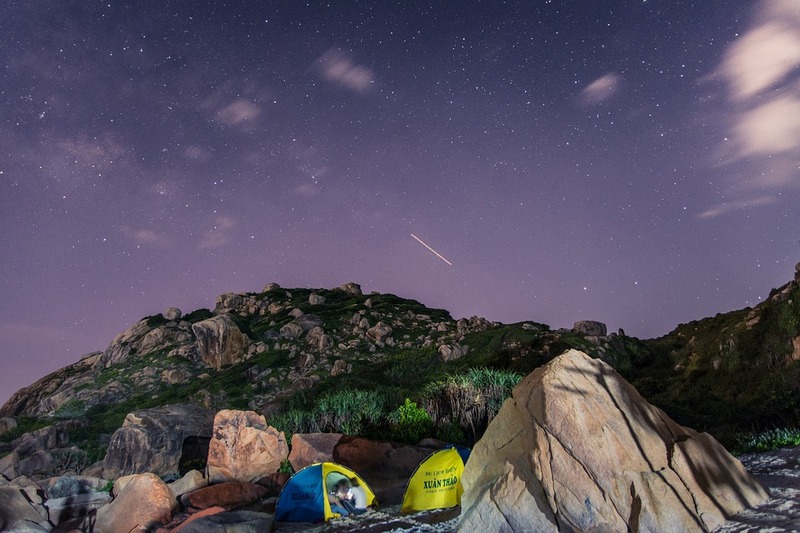 Whether you enjoy the bare bones, survivalist style of camping, or you prefer a more comfortable, modern camping experience, camping has something to offer everyone. Campfires, singalongs and smores aside, we’ve sorted out 10 of the best activities while camping to get you out of the tent, or RV and out enjoying nature. Hiking is a great activity to partake in while camping. Chances are you’re not familiar with your surroundings and even if you are, nature is always changing. Most camping areas have trails designated for hiking, designed to showcase the best of what the area has to show off. If your camping area has no trails, you can still explore, but with caution of course. If there aren’t any trails, things are likely to be a little more wild. This can lead to a more thrilling adventure and the adrenaline rush of being somewhere it seems no one else has been, but it is also more dangerous. Things like uneven ground, ground foliage and tree roots are a sure way to twist an ankle, end up with poison ivy, or worse (think poison sumac, or poison oak). If you’re paving your own trail, or venturing off the trail, be sure to always pay attention and a general rule of thumb is, if you don’t know what a plant is, don’t touch it. Depending on your camping location, the wildlife and plant types will vary. However, every region has its own flora and fauna to look for. These are some of the interesting things you’re likely to see if you pay attention. Small animals – You’re likely to see, or hear small animals such as squirrels, chipmunks, and rabbits as you hike along. Flipping an old tree trunk, or large piece of bark on the ground could lead you to the discovery of a wood turtle, a snake, or just a lot of bugs. If you’re not up for potentially meeting a snake, leave the log shifting to someone else. Animal tracks – If you pay attention you’re sure to see signs of the animals who traveled your path before you. You are likely to see things like prints in the mud, rutting marks on the trees from bucks shedding their antlers, dung piles and other evidence that an animal has walked the same path you’re taking. Moss formations – Moss has a way of taking over any damp place it can get a hold on. You are likely to see areas where it has completely covered tree trunks, the ground and any stones nearby in a carpet of green. This can be a beautiful sight for those who enjoy plants and the beauty of nature. Ponds and streams – Most wooded areas have a natural water source, be it a run off stream, or a low area that floods to become a pond during the wet season. These small water sources are usually home to a vast amount of wildlife, ranging from water bugs, dragonflies and tadpoles, to larger things like turtles and the odd fish. These are just some of the amazing things you may see while hiking, there’s plenty more to discover. While hiking be sure to disturb as little as possible and if you move something, like a log, be sure to put it back. This ensures the wildlife is as undisturbed as possible and you are not destroying their homes. Hiking is one of the most favourite and best activities while camping in the wild. Rock climbing can be a thrilling activity, especially when you have a goal to reach something, like an inaccessible area you want to explore. It is a test of endurance and skill, followed by the rush of accomplishment when you reach your goal. Rock climbing can also be dangerous, you shouldn’t attempt it without proper gear, some knowledge and depending on the area, a guide. Some popular campgrounds have rock climbing areas they offer to campers. These sites are maintained by staff to ensure they are safe to climb. Remote camping areas can also offer climbing opportunities, but these areas are not maintained and may not be safe. 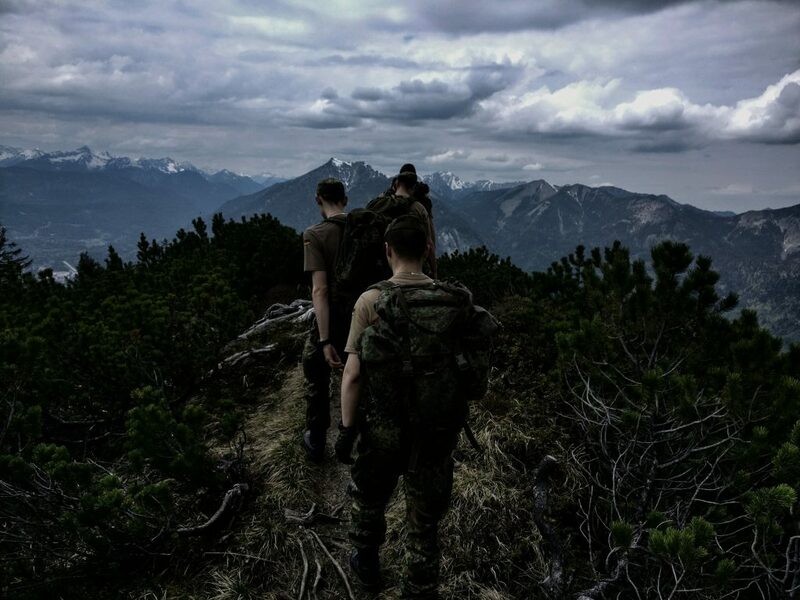 Before you start your journey of scaling down a cliff edge, or climbing up a rocky mountain wall there are some mandatory things you should know and have. You should be prepared for the kind of rock climbing you are going to partake in. 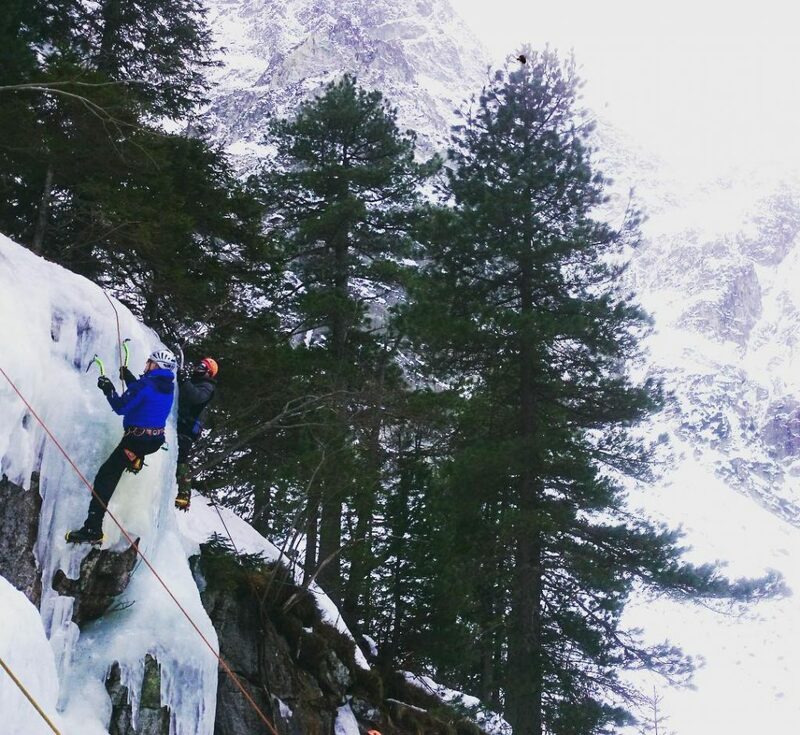 Are you bouldering, or rope climbing? If you’re inexperienced it is best to use a guide, this isn’t something a first timer should attempt without someone knowledgeable. A climbing harness – This is where you will attach the rope you are going to climb with. It is a safety device which ensures that if you fall, your rope will catch you. A helmet – A helmet protects you from any rocks that may be dislodged and fall from above you. It also ensures that if you slip, your head is protected if it hits the wall you are climbing. Chalk – Just like in gymnastics, chalk helps rock climbers have a better grip on the climbing surface. Carabiners – These clips attach your climbing harness to your rope, as well as attaching gear like a water bottle to your harness, or backpack for easy access. Climbing rope – Unlike any old rope, this rope is specifically designed to be used while climbing. It is made to support the load of a climbing person and withstand the jagged surfaces of rock. Another person – Outdoor rope climbing is an activity that should never be done alone. Even the most experienced climbers don’t climb alone. When done correctly rock climbing can be a fun hobby and a great physical activity. Bird watching is a relaxing activity that doesn’t have to include and physical strain. Depending where you camp, you are likely to see many kinds of birds, big and small. Birds like Blue Jays, Robins, Woodpeckers, Swallows, Hawks and Eagles are some of the most commonly seen. But, you could see a numerous amount of other species too. All you need for bird watching is a pair of binoculars. Although, if you are more serious about the activity you could also use a bird watchers guide. The guide book will list the species to look for, with photos and information about where you’re likely to find them. Ranger stations, trail info boards and other on site resources will most likely include bird watching information as well. You are likely to hear a bird before you see it – If you hear a bird stop and look in the general direction of the call. As you listen, you’ll likely be able to pinpoint the area of the bird and have a better chance of seeing it. If you are serious about bird watching use a journal to take notes about the birds you see, such as species, colour, area you seen it and it’s call. Time of day plays a big part in what kinds of birds you are most likely to see. Bird watching is an interesting hobby and can be one of the best activities while camping out. Fishing is a popular camping activity, whether it’s for sport, or for dinner. 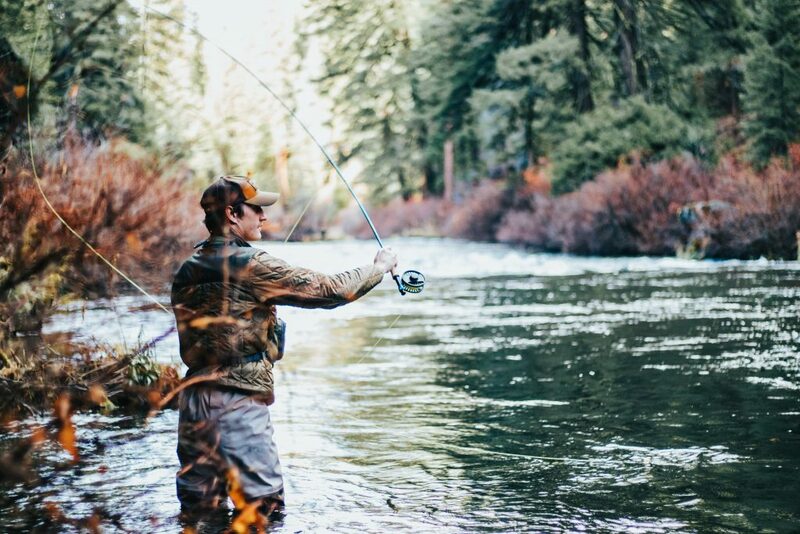 Most camping sites offer a fishing area and oftentimes these areas are regularly stocked, which means you’re likely to catch a decent variety of fish. Remote fishing areas tend to have a smaller variety and nature is the deciding factor in population. These fishing spots offer more of a challenge to those who want to test their skills by landing one illusive fish, rather than catching a lot of fish fairly easily. Fishing can be a great way to relax, or spend a day with your family. That’s the great thing about fishing, anyone can do it, even kids. You don’t need any fancy gear, or special items to enjoy fishing. A fishing pole and some worms are really all you need to have a good time. There are a few things you should keep in mind while fishing, both to ensure you’re following game laws and to ensure you’re not endangering any other wildlife unintentionally. Catch and Release Laws – Most states have laws regarding how big a fish must be in able to be kept. Fish under this length are immature and should be released, so they can continue their species’ reproduction cycle. Permit Laws – Fishing licenses, or permits are required for most people, but there are exceptions such as age and military status. You should check into these permit laws before fishing and make sure you’re adhering to them to avoid being fined. Be responsible with fishing line – Broken lines happen, but you shouldn’t leave the line laying. Fishing line is dangerous to birds and other animals that frequent the water’s edge. They may not see it and become entangled in it, which can lead to severed limbs, or death. Most camping areas will have a lake, or a river nearby which makes for a perfect opportunity to get out on the water. 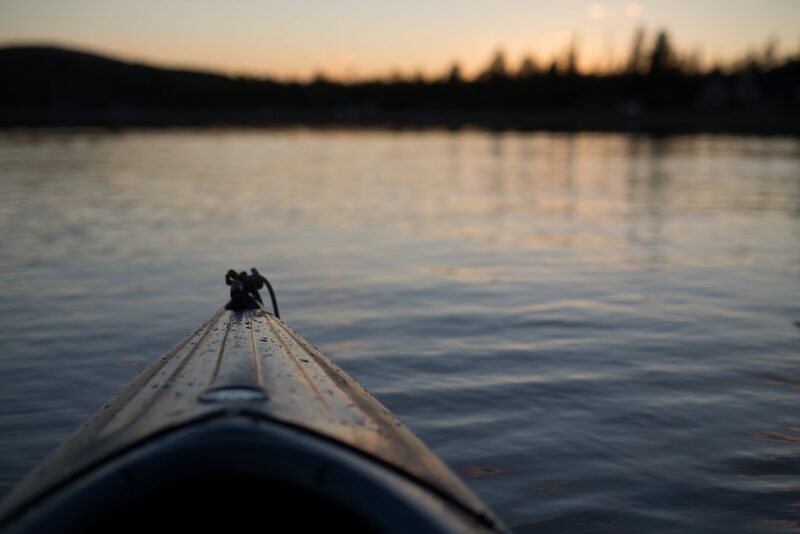 Speed boats can be fun too, but if your goal is to enjoy nature while camping, a canoe, or kayak is the way to go. These boats allow you you to be closer to the water and you’ll also be able to navigate where bigger boats would bottom out, like closer to shorelines. Their slow, man powered speed and lack of a propeller also mean you’ll be less likely to disturb schools of fish and other water life and you’ll get to see more. Canoeing and kayaking are similar, but also very different. They are better equipped for different situations and each one has its own pros and cons. Ultimately the best one is the one you prefer to use. Kayaks are better for open water and can be difficult to maneuver through swampy areas, or portages. Kayaks are much harder to get in and out of and a pain to carry, should you need to carry it through a shallow area. Canoes are better suited to swampy areas and are easier to carry, but paddling them can have a learning curve. Canoes have an upfront learning curve, but it gets easier as you learn. Kayaks are easy to get the hang of, but they have a late term learning curve. It’s unlikely that you won’t have food accessible while camping, unless you’re a survivalist. But, even if you’re not hunting for natures edibles can be a lot of fun. You can utilize this activity as part of a hike, or as an adventure of its own. It can even be made into a family activity, or a game to entertain younger, bored campers. 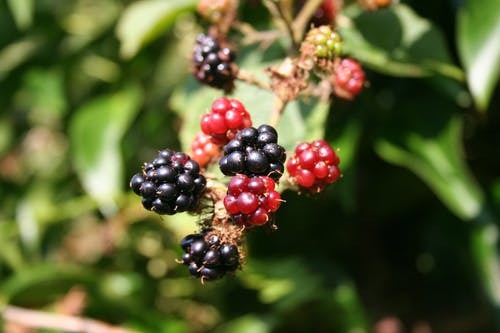 Why not check out our article on foraging for wild food here. Reading a good book on the subject is a great idea, check one of the best out on Amazon here. You shouldn’t ever eat anything if you’re not sure what it is. Nature has a way of making one thing, look like another thing. However, there are a few telltale plants that are easy to identify and perfectly safe to eat. Animal watching can be a great way to feel more intune with nature. The woods and fields surrounding them are full of life, even if it isn’t obvious at first. 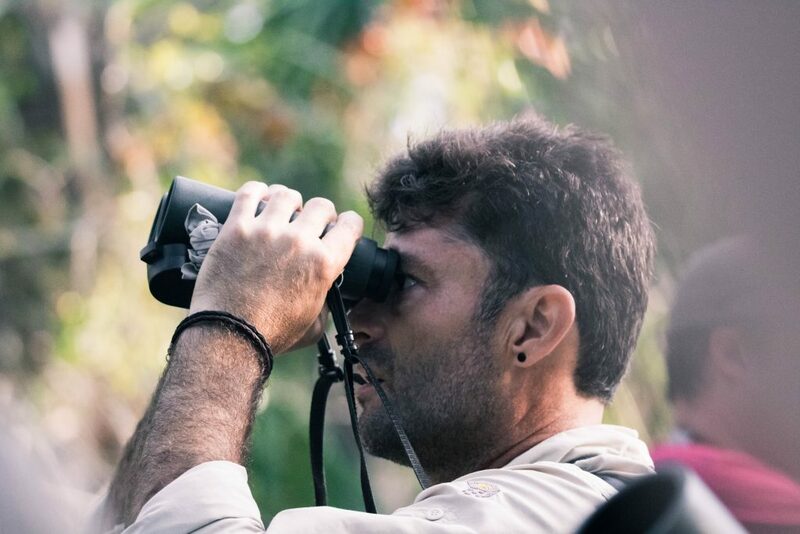 Animal watching can give you a close up view of the local fauna, a personal glimpse at the beauty of nature that a tv program, or a google search can’t deliver. If you live in a larger city, or don’t camp often, chances are you’ve never seen many of these animals up close before. This makes wildlife watching one of the best activities while camping. Deer, turtles, rabbits, beavers, snakes, birds, raccoons (don’t worry seeing them during the day doesn’t mean they’re rabid. It’s a myth), possums and chipmunks are a few of the animals you’re likely to see while animal watching. A good pair of binoculars is all you need. Animal watching can be highly rewarding, if you actually get to see some animals. Different animals are more active during different parts of the day. It is important to keep this in mind when deciding which animals you’d like to see. You want to see the animals, but you don’t want them to see you. Unlike pets, and city wildlife, these animals are unaccustomed to humans and the sight of you will likely cause them to run off. 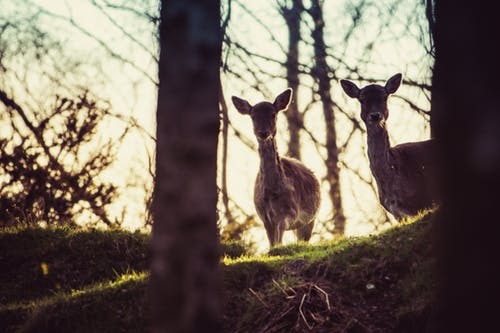 In addition you shouldn’t approach animals like deer, because you don’t know how they will react. While most will run, it is not unheard of for some to take a more offensive stance. It is important to be as quiet as possible. The animals you’re wanting to see aren’t likely to be accustomed to the sounds of voices, so they will be less inclined to venture near this unfamiliar source of sound. Some animals are curious and may still come to take a look, but this is the exception, not the rule. Don’t feed, or leave food for any wildlife you may see, or encounter. It is best not to encourage the animals to become friendly with people, as this may cause the animal to become a nuisance, or get itself into dangerous situations. In addition, the food you leave may not be a normal part of the animal’s diet and could lead to it becoming ill. Weather happens and a rainy day may prove to leave you tent bound and bored. But, that doesn’t mean there’s nothing to do. You could try your hand at whittling. You may find that you have a talent you didn’t even know about. 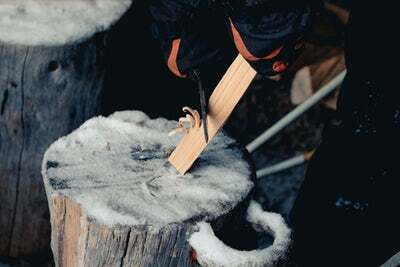 All you need for this activity is a piece of wood and a sharp knife. There are whittling knives specifically designed for this, but any sharp pocket knife will do. You can whittle just about anything you can think up, from a spoon, or fork, to a figurine. Anyone can pick up a knife and a piece of wood and start carving, but there are a few things that will make your journey into this hobby easier. Wet, or fresh wood is easier to whittle. It is softer and less likely to break. Avoid wood with knots, growth rings, or wood where the grain goes in multiple directions. 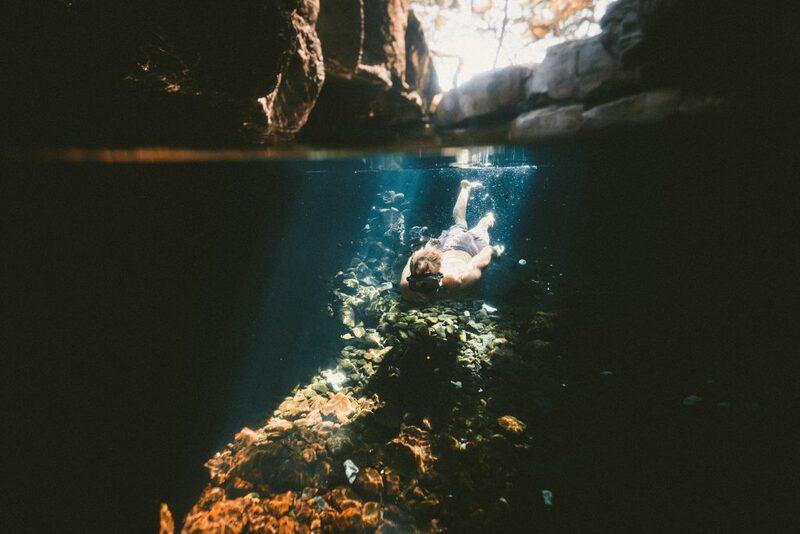 Swimming is a popular camping activity, so why not take it to the next step and go snorkeling. Snorkeling is a great way to get an up close look at underwater wildlife. From fish and water plants, to clams and snails there’s sure to be lots to see. Snorkeling is sure to give you a whole new perspective of a pond, or lake. You just have to know where to look and what to look for. Snails – Snails are most likely to be found in shallower water, clinging to rocks and other debris. Algae covered rocks are sure to be home to quite a few snails. Fish – While you may see a fish swim right by you, you are more likely to see them hiding in plants, or under and between rocks, waiting for something good to eat to pass by them. Clams – clams are usually buried under the silt, or sand on the lake bottom. They may be hard to see at first, but if you pay attention you will see their bubbles floating up periodically. Bubbles are a sure sign that something is hiding under the sand waiting for a meal. This is more of a modern activity, but Geocaching can be a fun camping activity. Especially if you’re camping in a popular area, less common areas aren’t likely to have geocaching sites, but it doesn’t hurt to check. Campsites are often popular geocache areas. 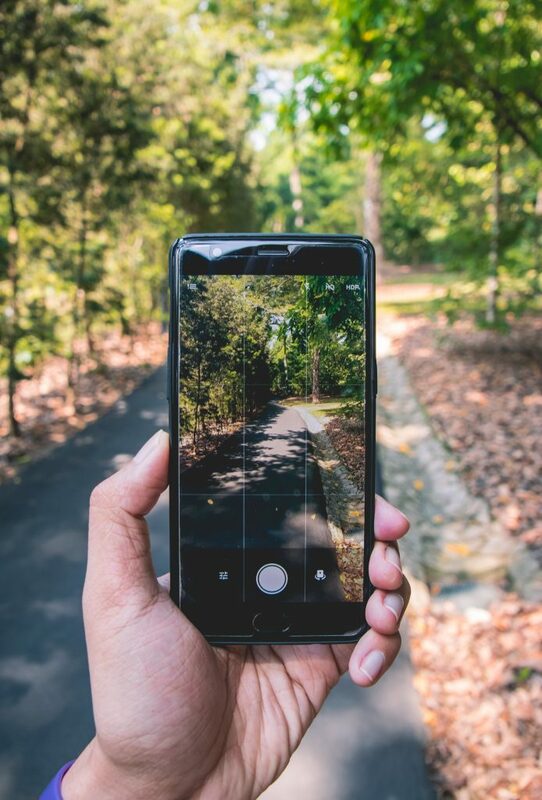 If you don’t know what geocaching is, it’s essentially a real life, outdoor, treasure hunting game, all you need is your phone and the geocache app. You will track down a container, using GPS and once you’ve found it, you get to find out what’s inside. Geocache containers can contain any number of small items, or just a log book for you to record your name on the list of people who have found the container. Geocaching can be a great way to add more fun to a hike, or just a good reason to get out and explore a new campground. Camping has a lot to offer, no matter your age, or experience. These are only a few activities that can help you enjoy the escape from daily routine and there is plenty more you can do. No matter which activities you choose to partake in while camping, you should do your best to ensure you are prepared and informed before you begin. Always make responsible choices while camping, to help preserve the well being of the animals and plants that make nature, nature. If you fancy the idea of more wild camping expeditions in the future why not check out our wild camping equipment article here. 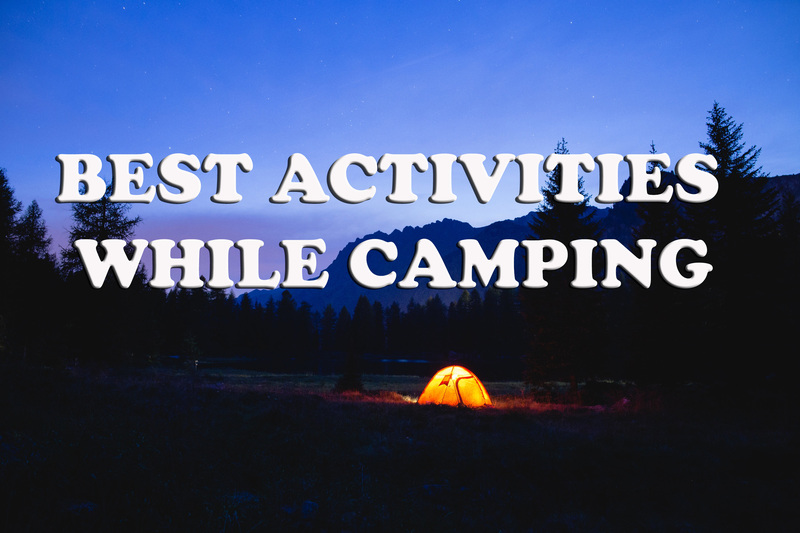 Thank you for reading our article on best activities while camping! If this helped you with your search why not share it with your friends?